Join Stencil Girl‘s Mary Beth Shaw on a uniquely inspired ArtWalk art journal workshop in Italy. Spontaneous and fun, experience travel while cultivating your creative vision. Capture it all in your personal mixed media travel journal. Laugh and adventure with friends new and old on this leisurely paced, small-group vacation through Northern Italy. 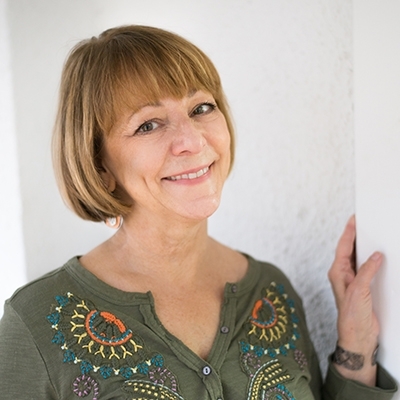 Mary Beth will instruct and inspire the creation of your very own art travel journal. Each page will bring back vivid memories of your journey. Become immersed in the sensory experience of travel. A journey where we wander and wonder through famous piazze and quiet coastlines, gathering materials for our art journals along the way. You will be introduced to the people, places, and traditions of beautiful Italy. You will have time to breathe the air, enjoy the company of your fellow artist travelers, and melt into the tapestry of this new place. If it is your first or fifth tour of Italy, we are sure it will be a favorite. Find an authentic Italy of today steeped in rich beauty and a colorful past. 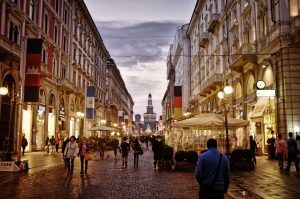 We have a perfect 10-night itinerary for those who have already seen the major sights of Italy or who are seeking something very special and unique. 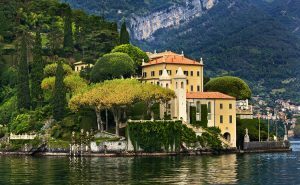 Beginning in Milan for one night, we then visit serene Lake Como for three nights. Next it’s off to the Veneto region for three nights in Padua and visits to Venice. 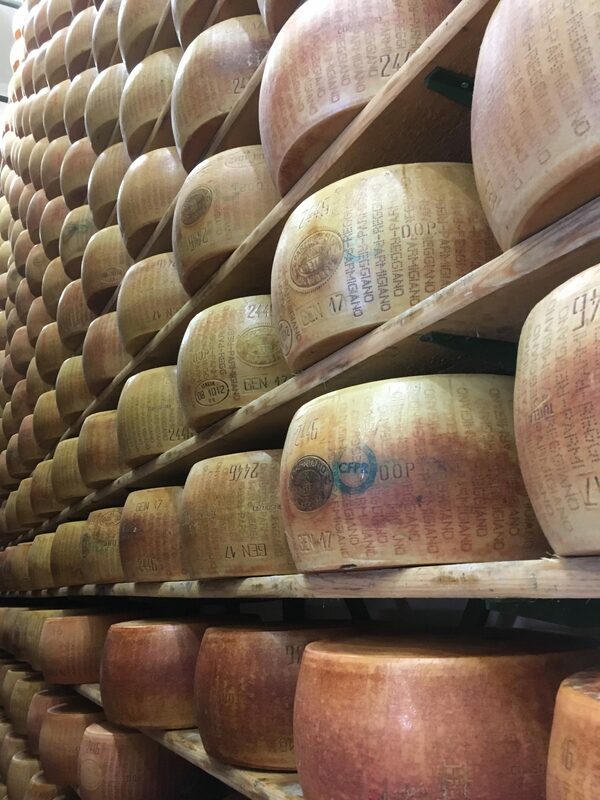 Finally, Italy’s culinary epicenter awaits for your final three nights in Parma where we will meet artisan makers of Parmigiano Reggiano Cheese, traditional balsamic vinegar of Modena, and more. Is that just not enough? We have you covered. You may extend your ArtWalk for three additional nights on the Italian Riviera. 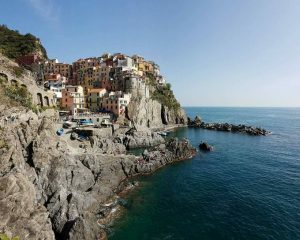 Join Mary Beth as she travels through the Cinque Terre, Portofino, and Rappalo. The extension will conclude with a train ride along the coast for our return to Milan. The next day, we leave the bustle of Milan and travel north to tranquil Lake Como near the border of Switzerland. Surrounded by Alpine foothills, your travel journal workshop with Mary Beth Shaw becomes a peaceful art retreat on the water. With Mary Beth’s guidance and encouragement, outdoor cafes and pretty piazzas draped with wisteria become the perfect settings to watch the world go by as you fill your art journal. Our pace will pick up a bit as we travel east by rail to Padua in the Veneto region. Here, we will spend three nights at our welcoming, family-run hotel in the beautiful historic center. After checking in, our orientation tour will lead into Prato della Valle, Padua’s weekly open market. 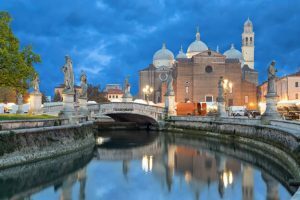 The oldest city in northern Italy, Padua is an ancient town with winding, arcade-lined streets opening into large communal piazze. It has wonderful open markets as well as high end shopping. The next day we travel a short 25 miles by rail to magical Venice. On a walking tour of the city, a local guide will reveal the rich culture and history of Venice. She will lead us off the beaten path and away from the crowds for a view on how Venetians see the city. Over lunch you may capture a sketch of a tranquil canal or busy piazza. 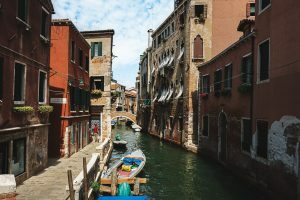 The remainder of the day you may spend as you wish, visiting the main sites of Venice, shopping artisan makers for handmade paper, glass, pens, and more. Or simply enjoying a lazy afternoon wandering its many alleyways and canals. The following day, after a morning class with Mary Beth, the remainder of the day is yours. 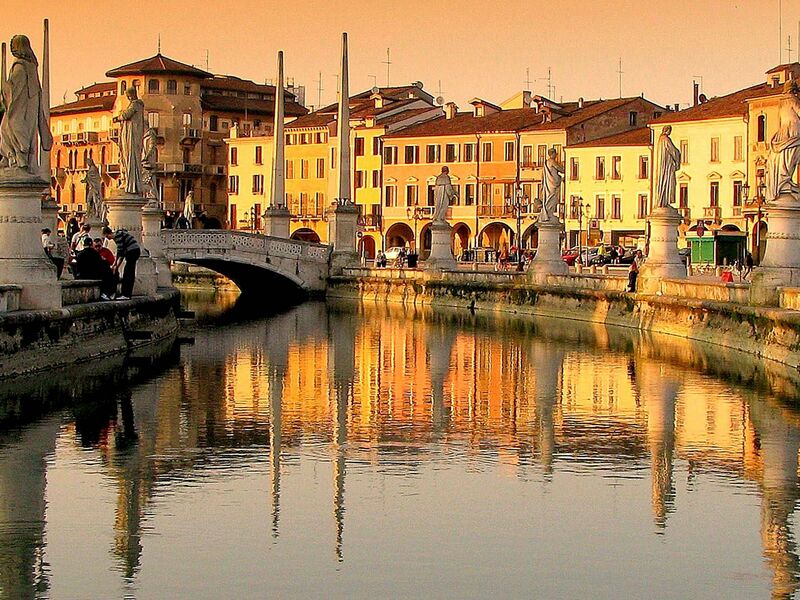 Explore Padua, return to Venice, or discover nearby Verona on your own. We have itineraries and places to see for each destination. The final three nights of your art journal workshop in Italy will be spent in the city of Parma in the Emilia-Romagna region. Nestled south of Venice and north of Florence, this lesser-visited neighbor has all the charming villages, verdant countryside, and abundance of interesting things to see and do – but in a quieter and less crowed way. And, this is the culinary center of Italy. You know tortellini pasta, Parmigiano-Reggiano cheese, prosciutto di Parma, balsamic vinegar of Modena, and lasagna bolognese. These all have their roots in this little region of the world. 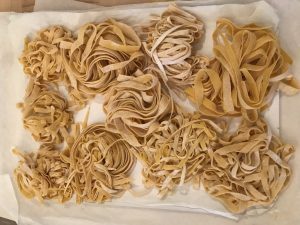 In Parma, Mary Beth’s art journal workshop in Italy will take a culinary focus. (Although we will be eating well everywhere we go!) 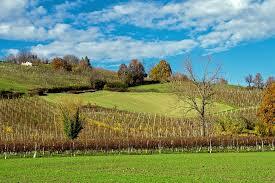 We will venture into the countryside to visit artisan producers and learn about their rich culinary traditions. 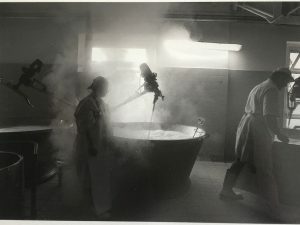 First we will visit a family-owned and run Parmigiano-Reggiano caseificio, or cheese maker. Then we will meet one of the few makers of true Aceto Balsamico Tradizionale di Modena. Of course you will have to taste a little of everything along the way. A master ceramist has invited us into her private studio. In a converted farm building on land that has been in her family for centuries, she will explain about maiolica. A ceramic painting technique developed in Faenza, Italy, it is traditional to Emilia-Romagna. Afterward try your hand at painting your own tile. You can bring it home as a keepsake of your travels. Finally, we will enjoy lunch on her beautiful terrace surrounded by an abundant garden. 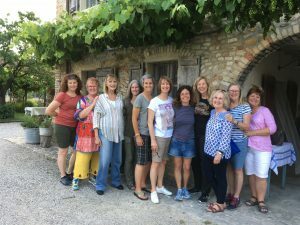 An absolute highlight of your art journal workshop in Italy may well be the hands-on cooking class and farewell dinner at our friend’s villa – a family home she inherited from her grandmother. She is a natural hostess with years of culinary experience. Her classes are organized and informative. Mostly, they are very fun. The afternoon will be filled with wonderful stories, fabulous food, and lots of laughter. If the weather permits we will dine al fresco in her park-like garden, enjoying great conversation and the fruits of our labor under the stars. Is 10 nights just not enough? We’ve got you covered. Join us for a 3-night guided ArtWalk Italy Extension to the Liguria region. From Parma, we will travel west to Rapallo on the coast. Lovely all on it’s own, with a small harbor, promenade, and old town, Rapallo is the perfect art journal workshop in Italy base to explore the Riviera. The five coastal villages of Cinque Terre lie in one direction and gorgeous Portofino is in the other. Our 4-star, family run hotel is perfectly situated on the waterfront and steps from the ancient city center. First we’ll leisurely walk coastal paths from Santa Margherita Ligure to Portofino. The next day we use the regional train to explore the fishing villages of Cinque Terre. Each day time will be set aside with Mary Beth to sketch, paint, collect, and create. Our welcome dinner at a small ristorante in the centro storico will feature local and seasonal fare. 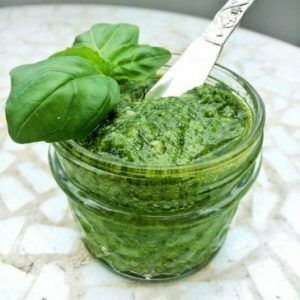 On another day we will sample local wines and get the inside scoop on how to make pesto – a specialty of the region. On the final day of the extension we will return together to Milan by rail. Two weeks in Northern Italy has brought us full circle.